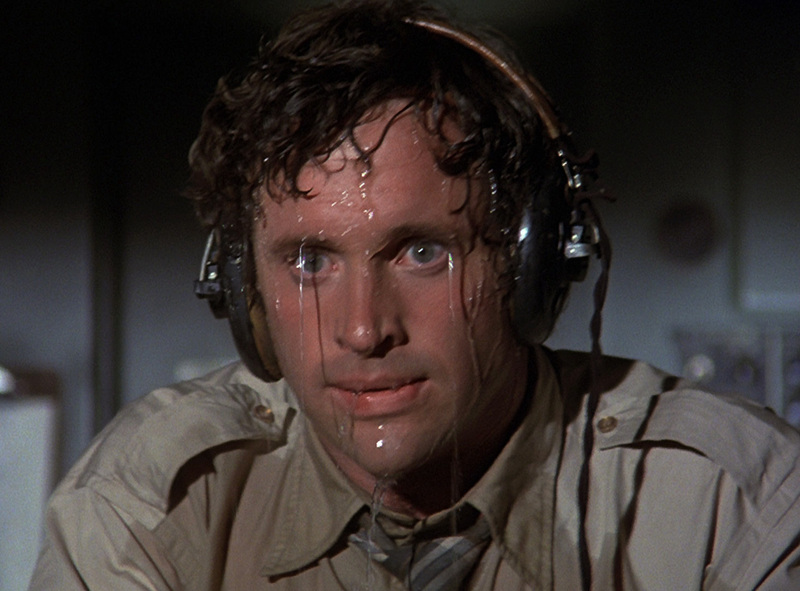 Before explaining the pain that is the ghost chili pepper, let me tell you about Scoville heat units. It is the scale at which heat is measured. It's based on Capsaicin, which is a chemical compound that stimulates nerve endings and mucous membranes. Essentially, it is a chemical that will make you leak from every pore. As additional back story, I do a radio segment for movie reviews and was roped into trying 7 of the world's hottest sauces on air. These ranged anywhere from 30,000 to 1 million Scoville units. To give a frame of reference about Scoville units; Tabasco sauce is around 4,000 units. We started small with a sauce called "Pure Death." Yes, that was the most mild of the bowel-melting selection. We dabbed small amounts of death onto some tortilla chips and let the tears and snot flow. My mouth was numb by sauce #6. I could no longer taste the heat. Then we moved onto Mad Dog 357 Silver Collector's Edition. This sauce even comes with it's own collectors' bullet. When you unscrew the bullet you see a spoon the size of the head of a pin. Apparently, that tiny amount is supposed to be enough to make a 5 gallon vat of chili burning hot. I put a sizable amount onto my chip and was ready to get it over with. I put the chip in my mouth and couldn't open my eyes. My ears felt like they were leaking. I swear I heard the sound of screaming nails on a chalkboard. I ran to drink some milk and while it was in my mouth, I felt instant relief. But as soon as I swallowed, the pain came back 3 times worse. I've never had asthma, but I experienced it temporarily because I couldn't breathe. I had to drink more milk and kept it in my mouth, refusing to swallow and bring the searing pain back. I was a little delusional, but I was told that I drank half the gallon. 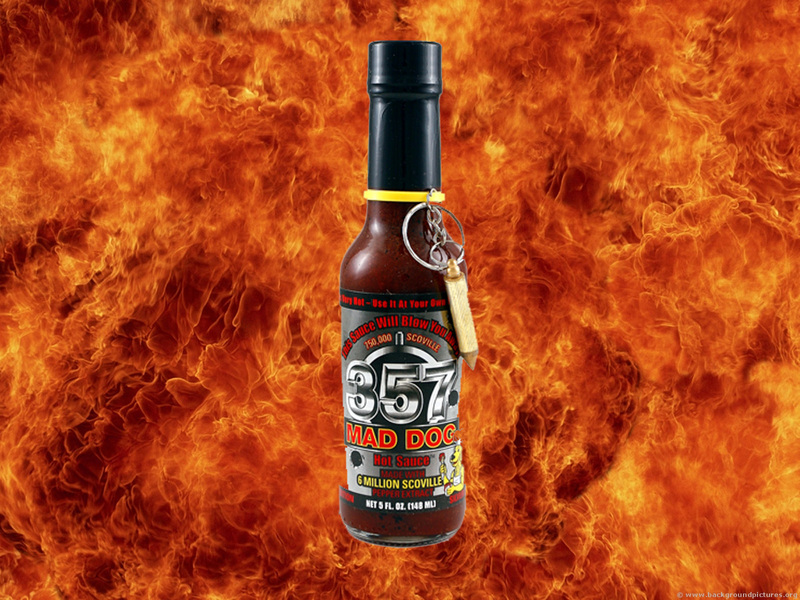 This hot sauce goes anywhere from 750,000 to 1.2 million Scoville heat units. Pepper spray is 2 million. I cannot over exaggerate the heat that a tiny dab of this sauce is able to conjure up. One tiny spot on your tongue and it takes over your entire mouth and throat. Let's just say I was crying profusely from my eyes and nose, like I just found out the truth about my parents taking my dog to a ranch to live. Ghost Chilis get their name because of how they come back to haunt you afterwards. You can all imagine where I'm going with this. Two hours after eating the sauces I was feeling good. My endorphins were still high and I felt that I conquered the sauces. Then my company decided to provide a pizza party for everyone. There were 200 people all standing around snacking on cheap pizza. I ate 2 slices myself and told a few people about how awesome I was because of my victory over the sauce. Then it hit me. The slices of pizza hit a point in my stomach and it felt like someone stabbed me in the gut with a samurai sword. I instantly started sweating profusely and was beet red. I knew that if I didn't run away from everyone at that second, I would vomit in front of my entire company. I ran downstairs into a bathroom and locked the door. I didn't even make it to the toilet. I barfed right in the sink at least 3 times. Everything came up. A donut, 2 slices of pizza and 7 of the world's hottest sauces. The pain was unbearable. It didn't help that the sink clogged and there was quick thinking on my part with a toilet plunger, but that's a story for another day. (Maybe I'll review the plunger). All in all, the sauce beat me. The instant heat takes hold and does not let go. For sado-masochists, this is a great feat of strength that you can try to beat. For the regular people, stay far away from this sauce. I have to give it a high rating because it did its job. I still get the sweats even thinking about the effect it had on my body. The Mad Dog 357 Silver Collector's Edition hot sauce gets 5 stars for its painful truth in advertising.